Home / How to / tutorials / social / Social Media / How to get Blog Traffic? How to get Blog Traffic? Bloggers are generally looking for the same thing : They hope that their blog to be read. There are lot's of bloggers that give idea a shot but then they give up as they feel like nobody is reading them. They also feel they are not able to get blog traffic, then why should they try? If you are one of them currently in such position then please don't try to give up. It is easy to get blog traffic and keep increase readers. 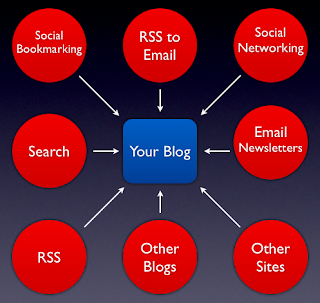 Here i put five methods which are help you to get blog traffic. Your blog should come with built in RSS capabilities and make sure to be taking advantage of these. It is easy for people to subscribe to your blog, the easier it will be for you to get blog traffic when you need it. Search engine spiders use links to navigate web and index the websites that they find means, easy for you that search engines find you,the easier for you to get traffic through search engine results pages. Websites and blogs are really hungry for content. You will earn new blog traffic every day, this food of traffic will begin as soon as your first article has been posted. folks, blogs are designed to work as conversations. When you visit other's blog then fit in your mind that comment on that blog. Leave your email address and a link back to your website. you will be able to get traffic by participating in online conversations elsewhere on internet. This is most quick, easy, and interactive way to get blog traffic. 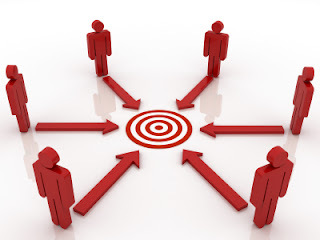 If you have more and more content, the more visitors you will have. Blog readers love content and constantly they looking fresh and new information. If you provide it, they will find it. you continue to provide it, they will definitely return many times to get it. Content is one of the most Vital aspects of blogging process. 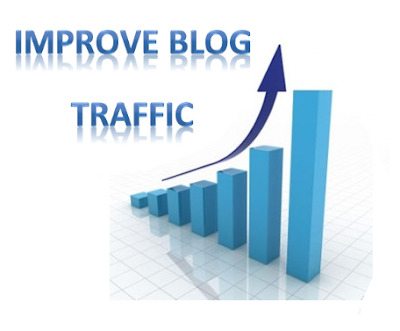 Follow above methods and you will definitely get more blog traffic and increase your blog visibility.